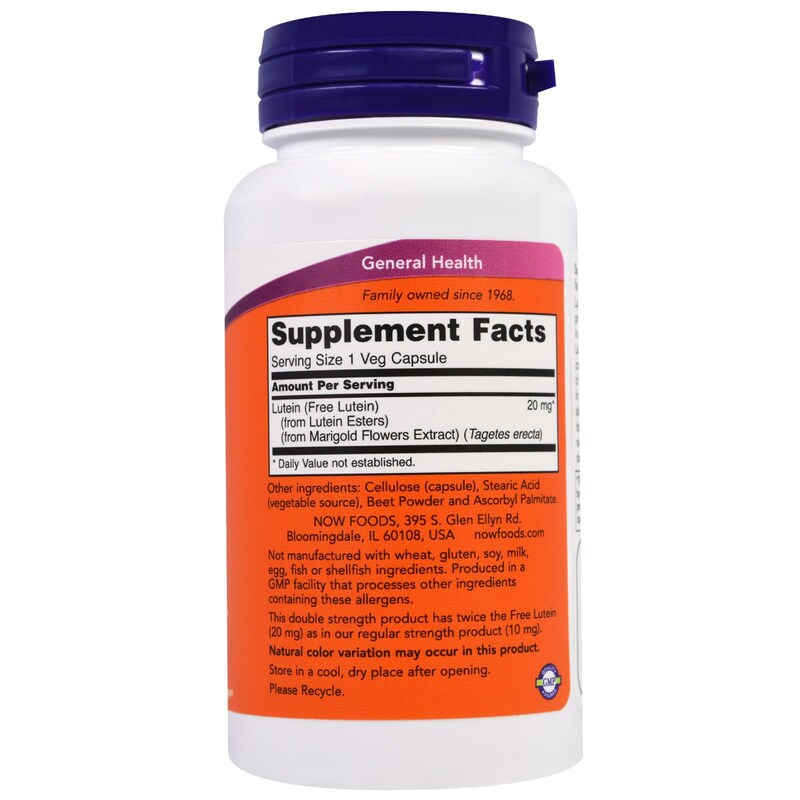 Lutein is an orange-red carotenoid pigment produced by plants and is present in the diet in color fruits and vegetables. 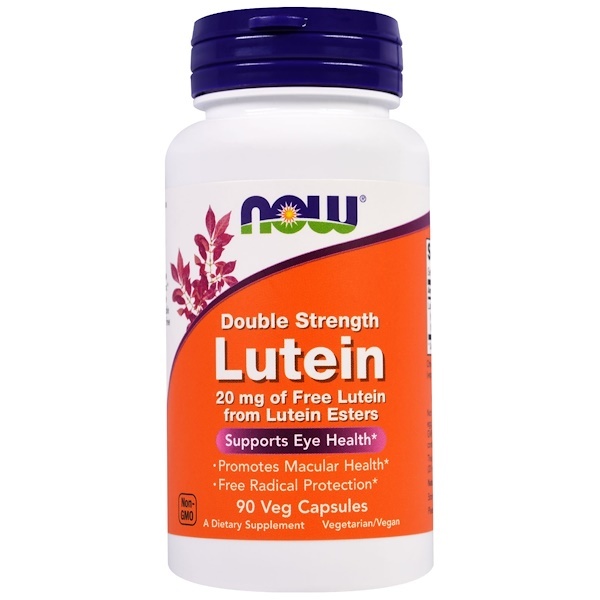 In the body Lutein is one of the predominant pigments concentrated in the macula, a specialized area of the eye that is responsible for central vision. In addition, it is known to be deposited in the skin. Lutein's functional role in these vulnerable tissues is to protect against sunlight-induced free radical production. This product is naturally derived from marigold flowers. Cellulose (capsule), stearic acid (vegetable source), beet powder and ascorbyl palmitate. The double strength product has twice the Free Lutein (20 mg) as in our regular strength product (10 mg). Caution: For adults only. Consult physician if pregnant/nursing, talking medication, or have a medical condition. Keep out of reach of children.